This prostate supplement has been sold in most of the nations biggest drugstores for many years. It has benefitted from a “pharmaceutical –sounding” name and look, so consumer probably thought it was a top-notch product. Our secret laboratory analysis’ shows Prostalex Plus is merely an average or below average product. The single most important marker of a good prostate supplement is the amount of total sterols it contains. 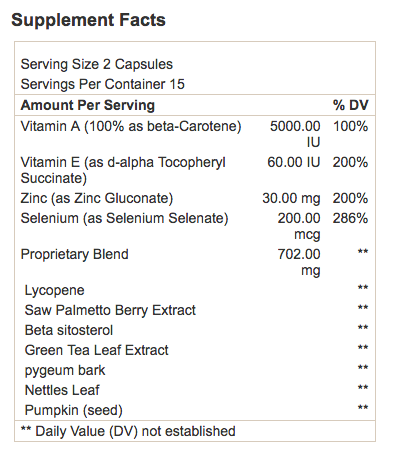 The lab report shows it has 130mg. This is an average score and can provide a decent amount of prostate health benefits. It is significantly better than the scam products with sterols scores that are single digit numbers.